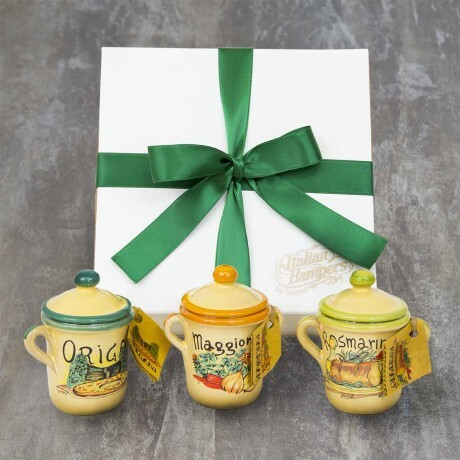 This set of three hand made and hand painted terracotta herb pots will bring a distinctly Mediterranean feel to your kitchen! Each contains wonderful aromatic dried herbs from Calabria in Southern Italy. Rosemary 5g, Oregano 5g, Marjoram 5g.